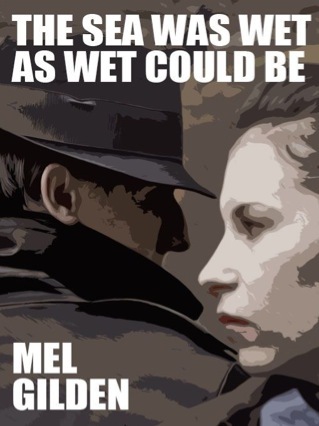 The original "Cronyn and Justice" novella, "The Sea Was as wet as Could Be" is now available for Kindle from Amazon.com and in Audible Audio from Audible.com. Three of Mel's books have been printed in brand new trade paperback editions from Wildside Press. Wildside Press is an independent publishing company located in Maryland, USA. It was founded in 1989 by John Gregory and Kim Betancourt. While the press was originally conceived as a publisher of speculative fiction in both trade and limited editions, it has broadened out somewhat since then, both in content and format. It now publishes mysteries and nonfiction, as well as eBooks and magazines. Wildside Press has published approximately ten thousand books through print on demand and traditional means. The company has published work by a number of contemporary writers, including Paul Di Filippo, Alan Dean Foster, Esther Friesner, Mel Gilden, Paul Levinson, Nick Mamatas, Vera Nazarian, Brian McNaughton, Paul Park, Tim Pratt, Stephen Mark Rainey, Alan Rodgers, Darrell Schweitzer, Lawrence Watt-Evans, and Chelsea Quinn Yarbro.